I have an ipad mini 3 updated to the latest operating system and the Hearthstone app is up to date. Even with that, it has consistent stability and crash issues. I can barely get through a couple games before it starts lagging hard and crashing. Forget going through my collection and building decks/modifying my decks, its impossible. Any tips, tricks or possible fixes? I tried removing and reinstalling the app several times, doing a back up and a restore of my ipad, but nothing helped. This forum is meant for technical support for PC and Mac. 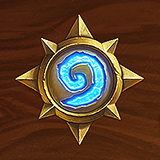 The technical support we can provide for Hearthstone on mobile devices is very limited; please see the Troubleshooting Hearthstone on Mobile Devices support article for more information. You can also check the Bug Report forum to see if other players have reported the same issue.